Technology is utilized at Cornelia Connelly School to enhance the students’ learning experience. Classroom curriculum includes the daily use of iPads, SMART Boards, and state-of-the-art science and technology equipment. Teachers integrate iPads into daily lessons, demonstrations, reading, research and homework. The curriculum utilizes technology to further reinforce the subject matter and provide real life examples of the principles being studied. Students have wireless access throughout the campus. 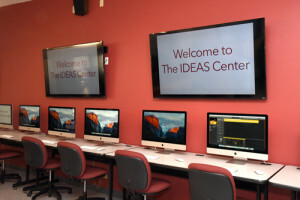 The IDEAS Center is a modern collaborative learning space providing space for: Innovation, Design, Engineering, Artistry, & Synergy.